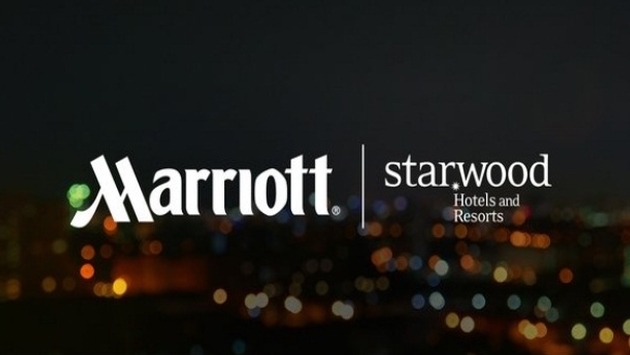 Marriott International completed its $13 billion acquisition of Starwood Hotels & Resorts Worldwide Friday and now takes aim at integrating Starwood's 11 brands and popular Starwood Preferred Guest (SPG) loyalty rewards program to form the world's largest hotel company. While a merger of this magnitude is unprecedented, expectations will be sky high. "The marriage of these two leading hotel companies means Marriott will deliver an unparalleled guest experience with more hotels in more global destinations, an unrivaled range of comprehensive accommodations to suit every traveler, and the industry’s best loyalty programs," said Marriott president and CEO Arne Sorenson in a statement. Fortunately for guests and members of Marriott Rewards and SPG, the monumental merger means expanded benefits right away. Starting Friday, members can link their accounts to begin immediately taking advantage of a slew of benefits, including status match, points transfer and redemption, member rates, SPG Moments and Marriott Rewards Experiences Marketplace, mobile check-in/check-out and free Wi-Fi, among many others. 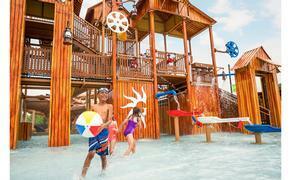 Members can visit members.marriott.com to link their accounts. "If you're already a member of either program you'll log in with your credentials and we status match you and from that point forward you're linked," Marriott's Vice President of Loyalty Thom Kozik told TravelPulse. From there, Kozik said it won't be long before members will be able to start transferring and redeeming points. Currently, members can transfer points at a three-to-one ratio, meaning three Marriott Rewards points will transfer to one SPG Starpoint. Although earlier this year Sorenson said Marriott doesn't anticipate launching a newly combined program until 2018, Friday's impressive rollout means that members won't be stuck in limbo. What's more, the ability to link member accounts and benefit immediately allows the two programs more time to produce the best program possible. "I think it'll take us some time to bring the best of both programs together," said David Flueck, senior vice president of revenue management and SPG. "Our goal up until now was just to get to today." READ MORE: Which Hotel Loyalty Programs Earn the Highest Satisfaction for 2016? "There hasn't been any other mergers of this size in the travel industry where the loyalty programs allowed their members to link on Day 1," added Flueck. "Existing members will get all of the benefits of their program, plus, as long as they link accounts they can match status in the other program, they can transfer points and they can use the wealth of all of the redemption partners and benefits across the entire platform." As for a timetable on when members could see the programs combined into one, Flueck said they're "going to let the work dictate the timeline. Our focus is to put our members first." According to Kozik, member feedback helped influence the decision to offer status match and points transfer right off the bat, with Marriott hosting several research panels and even an insiders forum in Los Angeles. The linking of accounts also means members can take advantage of the two companies combined partnerships. "For members who have elite status in SPG they get benefits when they fly with Delta Air Lines," said Flueck. "Now if they link status with Marriott Rewards they get elite benefits when they fly with United Airlines. The same thing is true with Uber and all of our redemption partners." "The possibilities are really limitless."